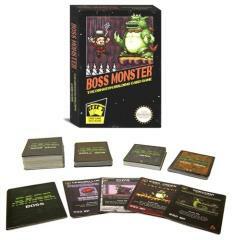 Inspired by classic video games, Boss Monster challenges you to become a villain, build a dungeon, lure adventurers, and destroy them! The final retail copy of the game includes 153 cards printed on premium-quality card stock, plus full-color instructions. It's everything that 2-4 players need for endless hours of dungeon-building, hero-slaying fun!